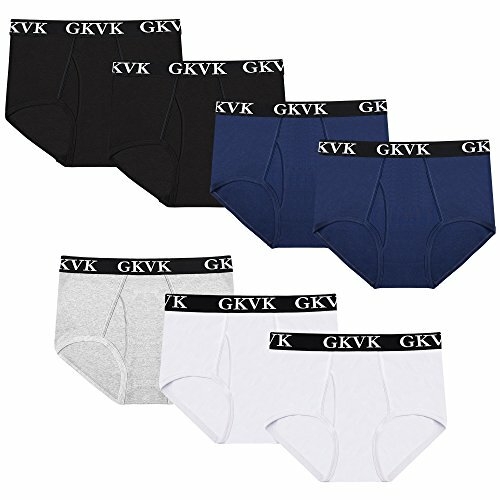 Men's Underwear Classic Low-Rise Stretch Hip Bikinis Brief Waist Measurement (in inches): S: 28-30; M: 32-34; L: 36-38; XL: 40-42; XXL: 44-46; XXXL: 48-50. Men's Underwear Classic Low-Rise Stretch Hip Bikinis Brief Muliti colors available in pure or with pattern print This kind of underwear inspired from men's physiological structure, through the ergonomic design, fully meet a male customer's demands of underwear, like fresh and dry, support but not squeezing, especially fits the man always sit in the office, has long time driving and long Time outdoors working. This is the revolution in the history of men's underwear. Special Features Of This Men's Underwear Classic Low-Rise Stretch Hip Bikinis Brief Hand wash cold appreciated. Nice fitting, tight and comfortable. Smooth fabric and flat seam construction reduces chafing and increases comfort. Specification: Trim:95% Cotton, 5% Polyester Size Reference: US Size For Men's Underwear Classic Low-Rise Stretch Hip Bikinis Brief. Men's Sport Brief Ultimate FreshIQ Full-Cut Breathable Brief Underwear Waist Measurement (in inches): S: 28-30; M: 32-34; L: 36-38; XL: 40-42; XXL: 44-46; XXXL: 48-50. Men's Sport Brief Ultimate FreshIQ Full-Cut Breathable Brief Underwear Muliti colors available in pure or with pattern print This kind of underwear inspired from men's physiological structure, through the ergonomic design, fully meet a male customer's demands of underwear, like fresh and dry, support but not squeezing, especially fits the man always sit in the office, has long time driving and long Time outdoors working. This is the revolution in the history of men's underwear. Special Features Of This Men's Sport Brief Ultimate FreshIQ Full-Cut Breathable Brief Underwear Hand wash cold appreciated. Nice fitting, tight and comfortable. Smooth fabric and flat seam construction reduces chafing and increases comfort. Item includes:7 Men's Sport Brief Underwear. Specification: Trim: 5% Polyester, 95% Cotton Item includes: 7 x Men's Sport Brief Ultimate FreshIQ Full-Cut Breathable Brief Underwear Size Reference: US Size For Men's Sport Brief Ultimate FreshIQ Full-Cut Breathable Brief Underwear.